When we were looking for a place to stay in Vigan, Grand Pa's Inn pictures stood out from the search results and I thought I would want to have my pictures taken in that old house. We traveled 2 more hours after our arrival from the Laoag airport and checked in the hotel/inn. If you are coming from Laoag, you can take the Partas Bus (which operates 24 hours) going to Vigan. 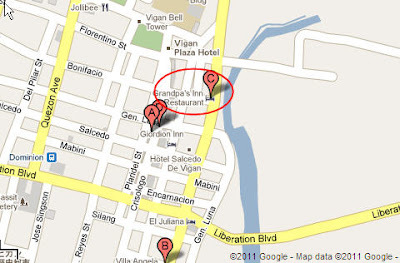 From the Vigan Partas Bus station, take tricycle and the drivers know where Grand Pa's Inn is. It is only a 5 to 10 minute tricycle ride. You can see that it is very near Calle Crisologo - very historic and beautiful street in Vigan with old stone houses. 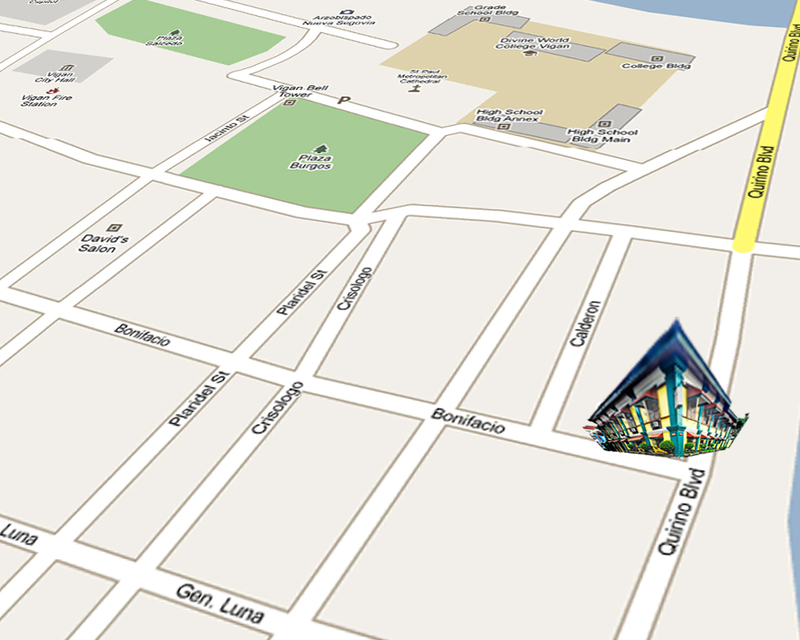 The place is walking distance from Calle Crisologo and Syquia Mansion. Five minute walk to Plaza Burgos and Vigan Cathedral. There are tricycles and kalesas which can take you to a tour. Here's what would greet you when you enter the hotel. 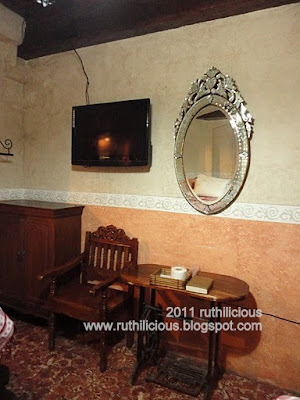 In the wall is the history of Grand Pa's Inn and pictures of famous celebrities who had stayed in the hotel (like Gabby Concepcion, Korina Sanchez, Heart and Jericho - when they were still together). So I was hoping, my picture would be posted there soon ( a wink!). The place is like a showcase of antique collection - from old phones, alarm clock, radio, to baro't sayas framed and hung on walls. There is even a old organ on the side, and old musical instruments. 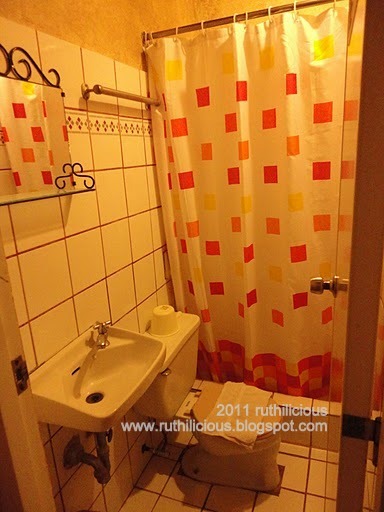 The room that we got is at the second floor - very spacious with 1 single bed and 1 double bed. It has TV and working hot and cold shower (and shampoo sachets and soaps, plus a roll of tissue). 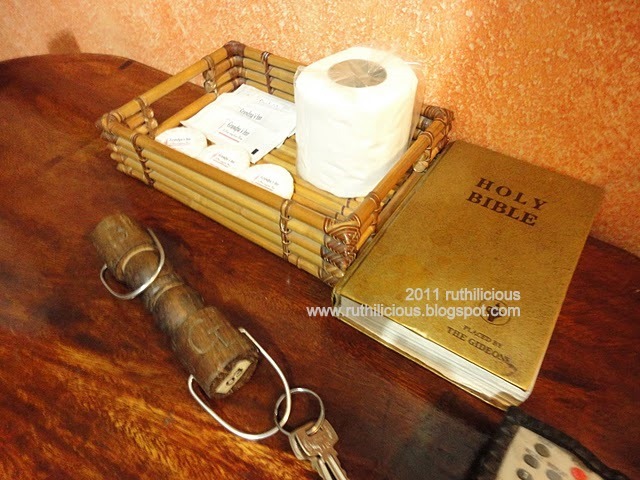 What caught my attention is the bible on the dresser table. You get to choose your breakfast set - so we tried something very Ilocano - TapSiLog (don't forget the Ilocano vinegar!). 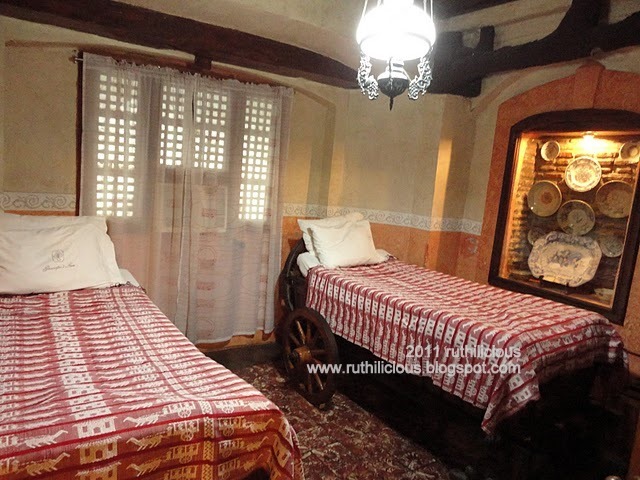 Staying in the dining area would make you feel like you were staying in your grandparents' house. Wifi connection is provided by Cafe Uno. A kalesa or calesa (sometimes called a karitela) is a horse drawn calash (carriage) used in the Philippines. The word, also spelled calesa, predates the Spanish conquest and descends ultimately from an Old Church Slavonic word meaning "wheels." This was one of the modes of transportation introduced in the Philippines in the 18th century by the Spaniards that only nobles and high ranked officials could afford (from Wikipedia). 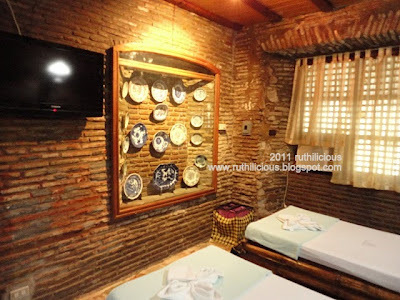 The hotel offers a tour package for Php1,100. We decided not to get it so we can explore more places and take more pictures without worrying about time and fees. Here's more info you may want to know..
Why Grand Pa's Inn stands out? 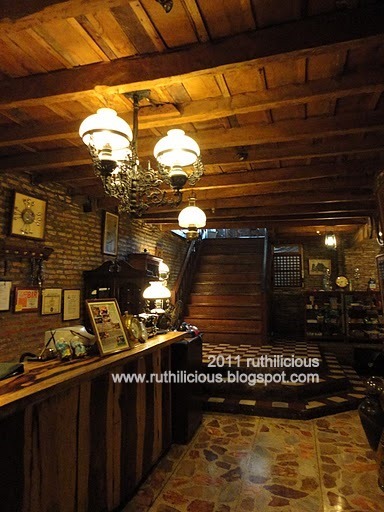 * We arrived at 1:00 in the morning and the staff was still very grateful when we arrived. We know they were all sleepy and would wanted to enjoy a nap (yeah, while on duty), but still, they waited for us, as if we were relatives from Manila. 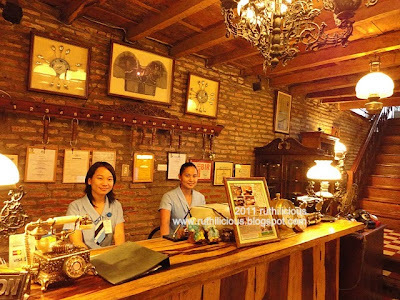 * After we checked in, we roamed around the hotel and they were very gracious and even turned on the lights when we took pictures of the antique collections displayed in the reception. They never showed that they were tired, and sleepy; and they never make us feel that our arrival is a total disturbance. They are very pleasant in answering our questions, and accommodating our requests (yeah, we get a little too demanding at times). *When we checked out at 2:00 PM the following day, we just asked if we can just pay extra for the extended hours (time is at 12 noon), but they said that they would just charge us for one night, and we can extend until 4:00 PM. That was suuuper! 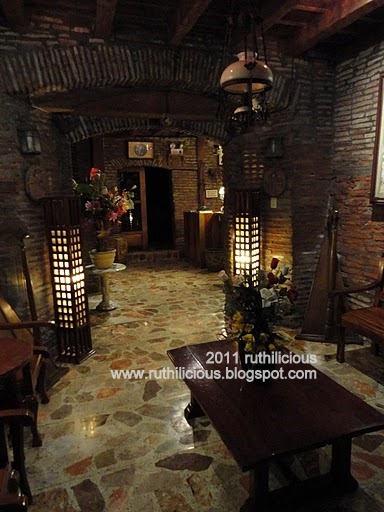 That gave us time to visit other places within the area like the Syquia Mansion. 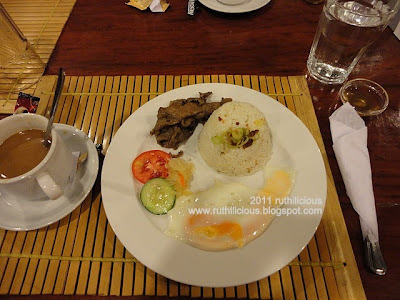 *When we came back to the hotel to get our stuff (we just left them at the reception after we checked out so we can still visit the Syquia Mansion), the receptionist told me "Maam, baka gusto mo muna maupo, at magpahinga?" (Maam, maybe you would want to take a seat and take a rest?" There is something about the voice that was telling me she's sincere; but I just stayed in the reception and decided to get to know them more. I just asked for a glass of water, and they were prompt in accommodating our requests. *The staff was so pleasant when we had our pictures taken in the hotel. It seems that they are happy with what they are doing, and that they are proud to be part of the Grand Pa's Inn. Our thanks to Cristina, Mark, Leoncio, Joren and especially to Maricon, Diane, Jhong, Nilo, Edward and Nestor for making our Vigan trip fun more and "historic".